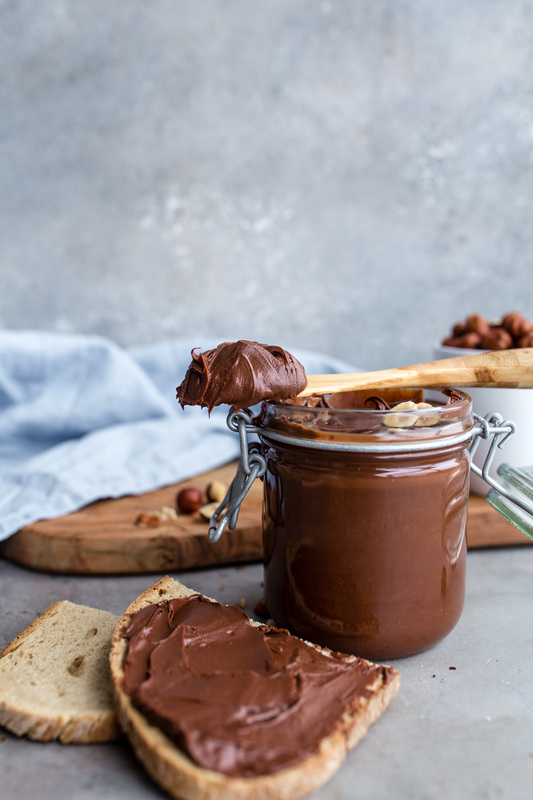 DIY vegan “Nutella” made with just 2 ingredients! 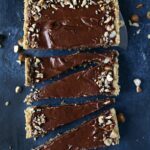 Creamy, rich, gluten-free and rich in magnesium! 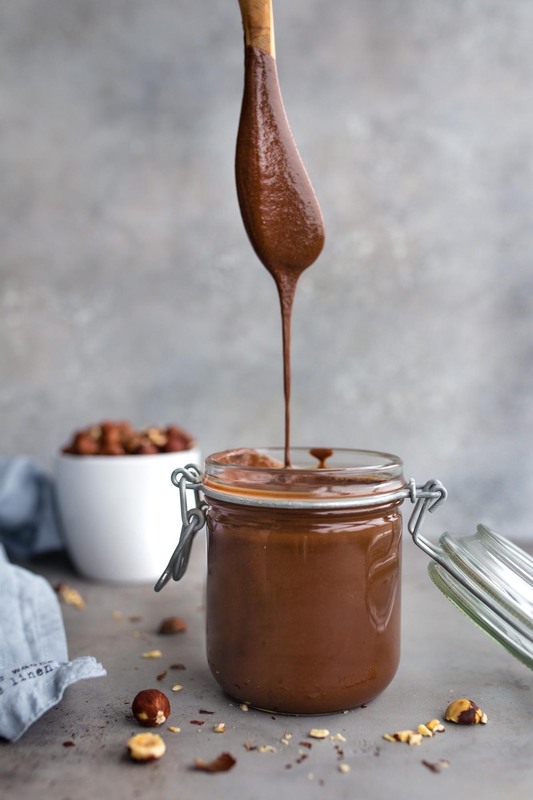 Vegan Nutella made in under 20 minutes – with only 2 ingredients! I think when you ask my mother, Nutella was always my favorite thing. I’ve spread it on everything or ate it straight from the jar. 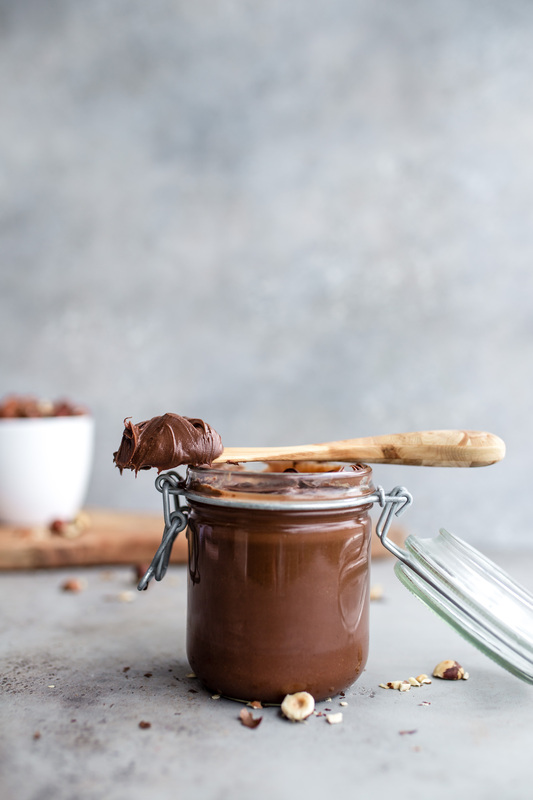 Years later I found that the ingredient in Nutella was not really fitting my diet, so I created a version that is not only super easy to make but also healthier than its shop-bought counterpart. 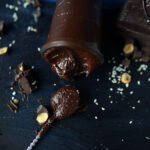 What’s crucial for the ultimate creaminess of the “Nutella”, is a well functioning, strong food processor. You’ll start and then you get this crumbly mass and just when you want to give up that is when you reach hazelnut butter consistency. 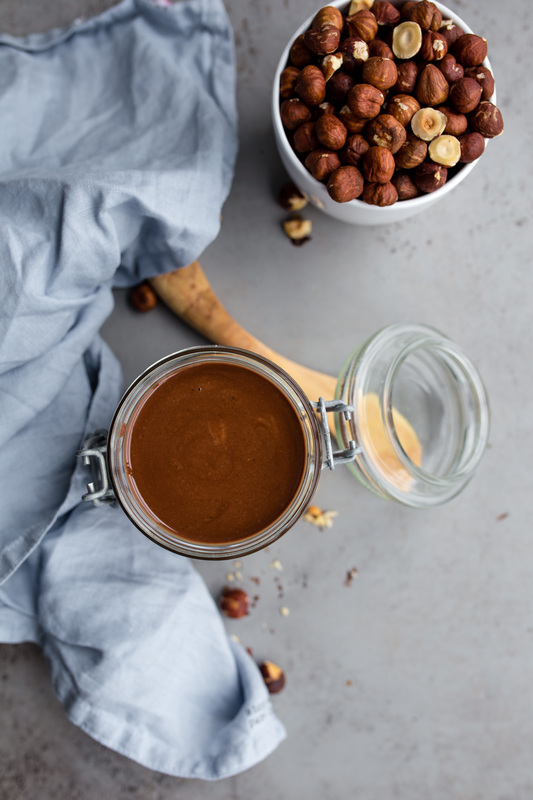 If you have time I recommend making this super easy vegan Nutella while you are reading this. Otherwise (you better come up with a good excuse), you can save the pictures below to your Pinterest board and find the recipe later. 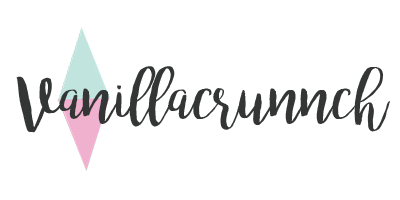 Also check out my Pinterest profile Vanillacrunnch if you are interested in seeing all my Pinterest boards for inspiration. 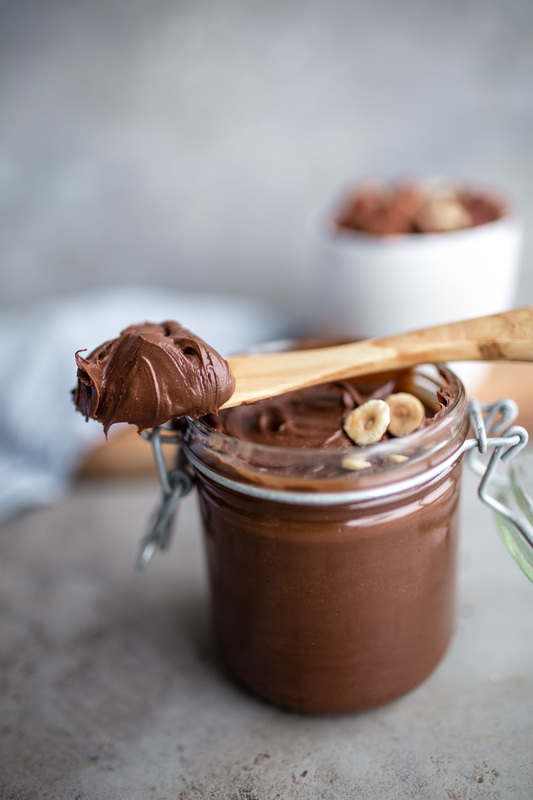 I am looking forward to seeing your “Nutella” creations on Instagram (Tag me @vanillacrunnch ) or you can use the hashtag #bakingwithvanillacrunnch or and leave a comment here and put a smile on my face. 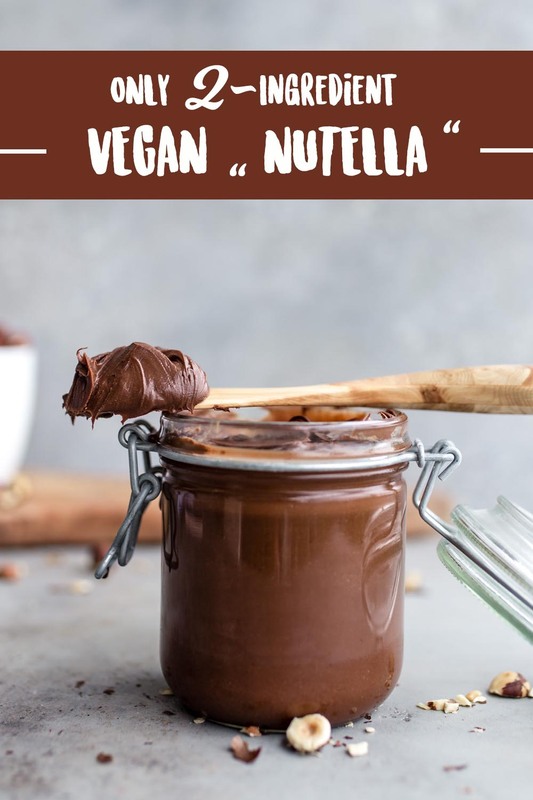 Pour the vegan "Nutella" in a glass and store in the fridge for up to 5 days. Yes totally agree! Let me know how it goes Ruth! This looks incredible! What kind of a food processor do you use? 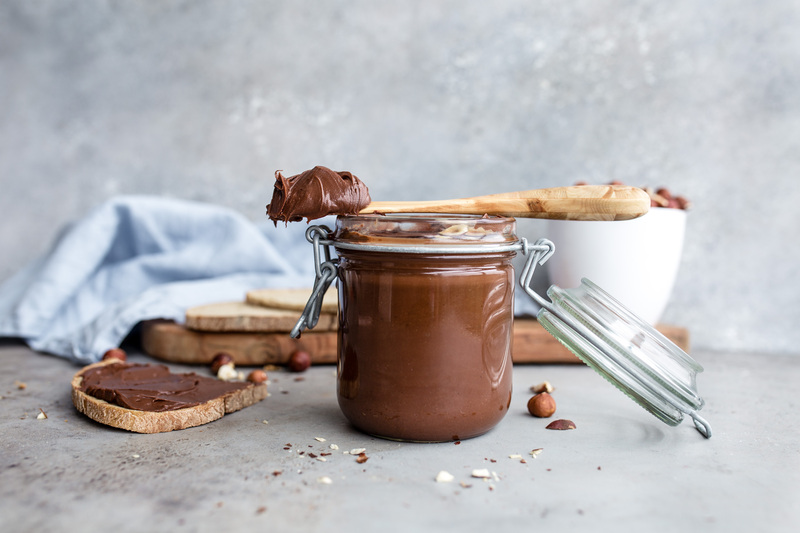 So brilliant to find a simple recipe for chocolate spread. I stopped buying Nutella when I noticed they used palm oil a few years ago, I grew up with it and my child loves it. Now to see if my little food processor can make this!